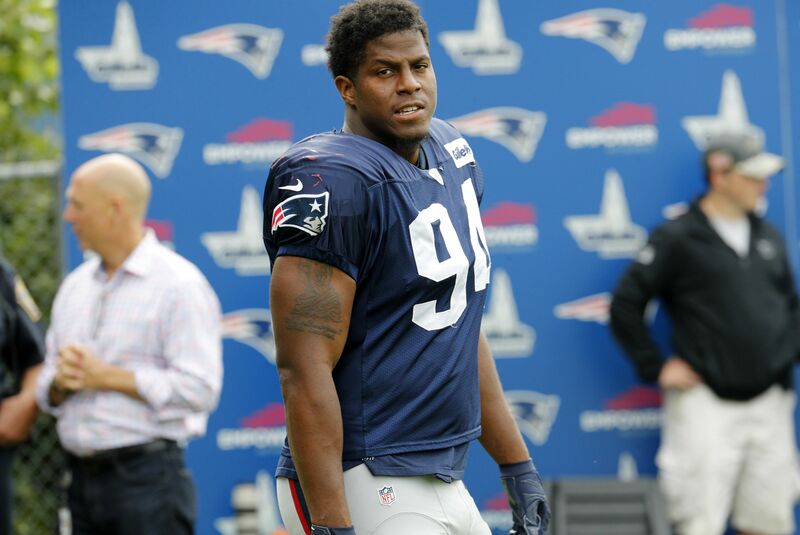 The Patriots have cut DE Kony Ealy shortly after trading for him. The Patriots have made a somewhat perplexing roster move. Just months after trading a second round pick for Ealy and a third round pick, the Patriots have cut him. The news was first broken by Mike Garafolo on Twitter. Patriots are releasing DE Kony Ealy, source said. Tried him in their scheme. Not a similar style to Ninkovich so it didn’t work out. Ultimately, the Patriots did not lose much. They dropped back eight spots in the draft and had the chance to see if Ealy could make a contribution to the team. He could not, apparently, so the team decided to move forward with other plans. The news was confirmed by the team website shortly after the tweet originally reporting the cut was sent out. This comes shortly after a Tweet from Tom Pelissero claimed that Ealy was on the trade block. Reportedly, the Patriots were seeing if they could get a deal done for the player. One to watch in games tonight: Kony Ealy. #Patriots have gauged trade market for him, per sources. Started to settle in lately, though. According to Pro Football Reference, he’s had five sacks in each of the last two years with at least 15 tackles. In his 15 total starts, he has 14 sacks, six forced fumbles and 43 total tackles. Including playoffs, he adds one start, three sacks, five tackles and a forced fumble. Ealy likely was not a good fit for the Patriots, but there will be a team in the NFL where he can contribute more than one of the defensive ends on the roster. It would be wise to expect him to be on a roster shortly.